Outstanding research leads to social and technical innovations and can help to meet societal challenges. Cutting-edge research simply is not possible without well-trained people. IfADo is committed to the equality of women and men. The Leibniz Gender Equality Standards are carefully taken into account in recruitment processes and in enabling the compatibility of work and family. Special attention is given to increasing the proportion of women in leadership positions. Gender equality is included as a consistent guiding principle in all tasks and decisions in organizational development, internal control and personnel planning, recruitment and personnel development. The staff comprises 60% female employees. The number of international personnel, currently comprises 25% of total staff from 23 foreign countries. IfADo provides requirements to comply with diversity rules (based ethnicity, national origin, religion, belief) due to internationalization. 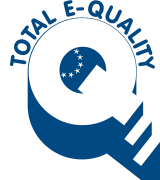 Gender equality and family orientation is mirrored by the TOTAL E-QUALITY AWARD, which IfADo carries continuously since 2010. This TOTAL E-QUALITY certificate awards institutions that are committed to equal opportunities for women and men in their personnel and organizational policies.